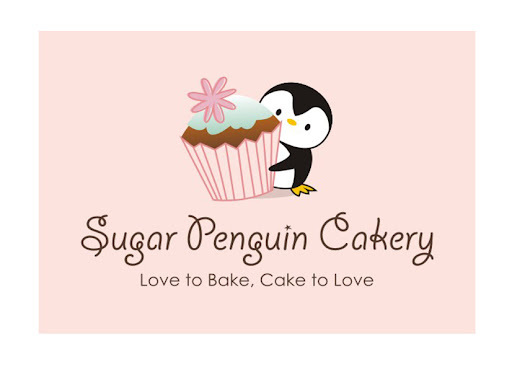 Sugar Penguin Cakery: "Island in the Stream"
This weekend, I had the privilege to make the cake for a beautiful girl who's turning 9. Her Mom emailed me that she will be having a Hawaiian party theme... Then immediately I thought of those white sandy beaches, colorful leis, seashells, and beach sandals! But, the birthday girl had something set in mind already! All she wanted was a cake with blue icings, a palm tree, and an orange hibiscus! Simple, right? No....... I decided that I have to up my game with my sugar flower techniques, wiring. So I wired every single of the palm leaves. It was not easy, I have to say. And requires A LOT of patience, which I don't have these days.. After wiring was successful, I had to WAIT..... yes, wait, for a good few hours before I can work on them again. Not too long either because they can just break, thennnnn... you have to do it all over again. Same goes with my simplified hibiscus. I delivered the cake to her house and just looking at the expression on her face, I knew that she loved it! That's my reward. My fatique and tiredness were all gone..., paid off by the smile on her face! Now cue that song again, "Islands in the stream, That is what we are, No one in-between, How can we be wrong, Sail away with me to another world, And we rely on each other, ah-ah......"